Hugh Warwick & 'The Beauty in the Beast' . We are delighted to announce that Hugh Warwick is our VIP Gala Dinner Speaker joining us for the VIP Gala Dinner evening Saturday May 11th 2019 in the Piontage Suite. Hugh Warwick is an ecologist and author with a particular interest in hedgehogs. For over 30 years he has been investigating the lives of these magnificent creatures. He has counted, radio-tracked, rescued, and campaigned on behalf of them. He has written four books, two about about hedgehogs and is the spokesperson for the British Hedgehog Preservation Society. Hugh's first book, A Prickly Affair, remains unique for having accolades from both Jeanette Winterson and Ann Widdecombe on the cover. 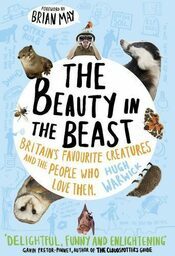 The Beauty in the Beast was published in May 2012 and was more fun than he thought was reasonable as he travelled the country looking for people a bit like himself. In April 2014 Reaktion Books published his monograph on the iconography of the hedgehog - niche, yes, but also full of fun and beautiful illustrations. His latest, Linescapes,was launched in May 2017 and investigates the impact that the lines we make have on the capacity of wildlife to thrive. 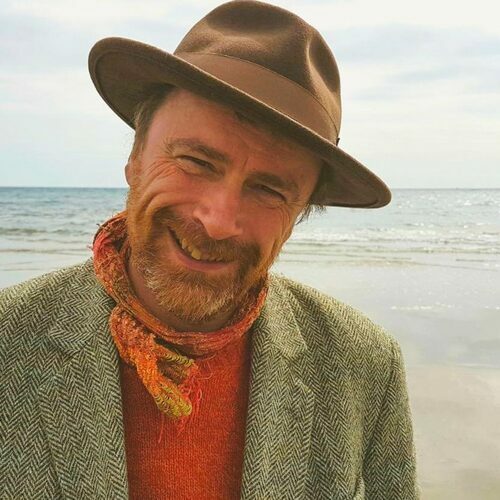 In addition to writing, Hugh does a lot of public speaking from primary schools to postgraduate research groups via the WI and Wildlife Trusts and he runs day-long courses on hedgehog conservation and additionally lectures on creative writing. Hugh regularly appears on TV & Radio and has written numerous articles for newspapers and magazines, some of which you can read here. He is a regular commentator in the media talking principally about wildlife and conservation issues – but also many broader environmental stories and has a few regular slots on his local BBC Oxford. 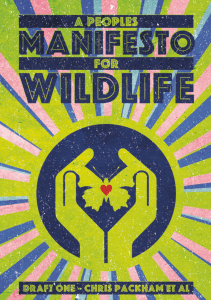 He is currently heavily involved in a pro active manifesto in a quest to save wildlife through "A People's Manifesto for Wildlife" which is an initiative started by Chris Packham, a world famous wildlife expert often seen presenting on TV. Hugh has chosen to speak on this engaging topic from his book "The Beauty in the Beast" . Foreword from Brian May. "We will not fight to save what we do not love - this is something Hugh Warwick believes in with a great passion. We need to stop ‘liking’ the natural world and risk falling in love with it - because only then will we truly act on the fight that is needed. How do we fall in love with something as enormous as nature? We find the gatekeeper - and this is the quest that Hugh headed off on as he researched his book, The Beauty in the Beast. Meeting people like himself - but with different passions. Could the otter woman convince him that these elegant and playful beasts were as wonderful as hedgehogs? What about dragonflies, water voles, house sparrows? Each person had found their way into loving nature through their gatekeeper … which will be yours?" Hugh Warwick is speaking as a representative for The British Hedgehog Preservation Society about Hedgehogs and "Why Hedgehogs are the most important Animal on the Planet", read more about this and our chosen charity for 2019 here.